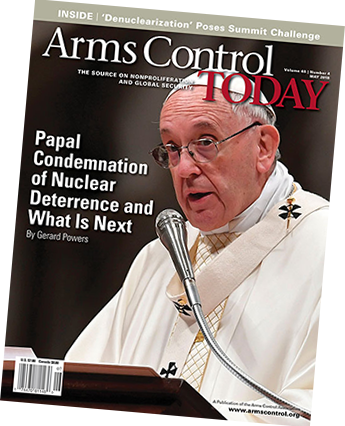 Arms Control Today is the monthly flagship publication of the Arms Control Association. Since 1972, Arms Control Today has provided policymakers, journalists, and concerned citizens with authoritative information and analysis on arms control proposals, negotiations, and agreements, and related national security news. Below are links to archived versions of the journal from July 1996 through the present issue. Earlier issues may be accessed by users at an academic library or institution via JSTOR back to 1974. If you have any questions, please contact us at 202-463-8270 ext 105.